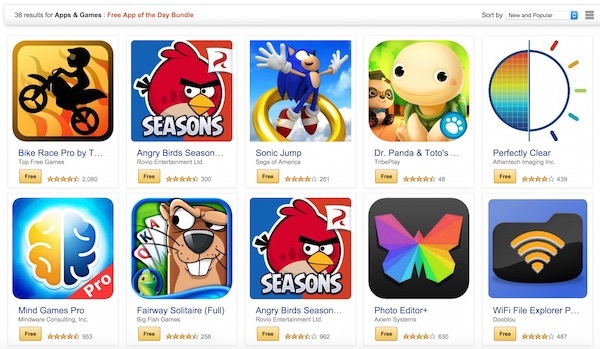 It’s Black Friday today, but it doesn’t mean that you can’t get a good deal outside of the U.S. Amazon’s Appstore is giving away a large collection of Android apps for free today, worth over USD$130 (that’s about RM440). Get popular apps like MyBackup Pro, Bejeweled 2, an ad-free version of Angry Birds Seasons, Docs to Go Premium Key, and many, many more. There are about 40 free apps offered this time round, some of which is worth over US$20. Of course, you’ll need an Amazon app installed on your device to get these apps. Amazon recently included its Appstore into its main Android app so you don’t have to install an APK file to your device manually. Just search the Play Store for Amazon app, download it, open up the Apps section and search for the free app you want. 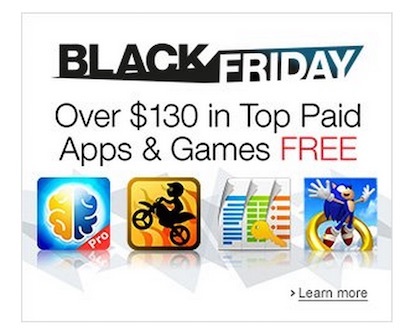 Check out Amazon to see the full list of apps that are going for free in part of their Black Friday offer.